The first of three World Affairs lectures to celebrate 50 years of the University Charter, and enabling Keele also to recognise the contribution that Keele World Affairs has made to the University since it was launched in 1980. Before the main lecture Vice-Chancellor Nick Foskett gives an overview of Keele's Charter Year, and introduces Lord Rees, an Honorary Graduate of Keele University. 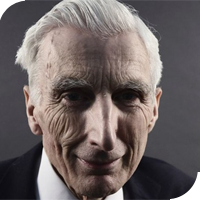 In his lecture Martin Rees draws on his recently published book, From Here to Infinity: Scientific Horizons* which explores and updates the material in his famous BBC Reith lecture series of 2010. His analysis not only looks at recent technology developments but also makes predictions regarding mankind's ability to master technology and to chart his way to a peaceable destiny. In 2012 Lord Rees was Master of Trinity College and Emeritus Professor of Cosmology and Astrophysics at the University of Cambridge. He was appointed Astronomer Royal in 1995 and was nominated to the House of Lords in 2005 as a cross-bench peer. In 2007 he was appointed as a member of the Order of Merit. He became President of the Royal Society on 1 December 2005 and continued in this distinguished role until the end of the Society's 350th Anniversary Celebrations in 2010. Lord Rees has been a Visiting Professor at many universities including Harvard, Caltech, Berkeley, Kyoto and the Institute of Advanced Studies at Princeton. He was Regents Fellow of the Smithsonian Institute, Washington between 1984 and 1988. His research has dealt with cosmology and astrophysics, especially gamma ray bursts, galactic nuclei, black hole formation and radiative processes (including gravitational waves) and also cosmic structure formation, especially the early generation of stars and galaxies that formed at the end of the cosmic dark ages more than 12 billion years ago relatively shortly after the "Big Bang". He has authored or co-authored about five hundred research papers. He has lectured, broadcast and written widely on science and policy, and is the author of seven books for a general readership.